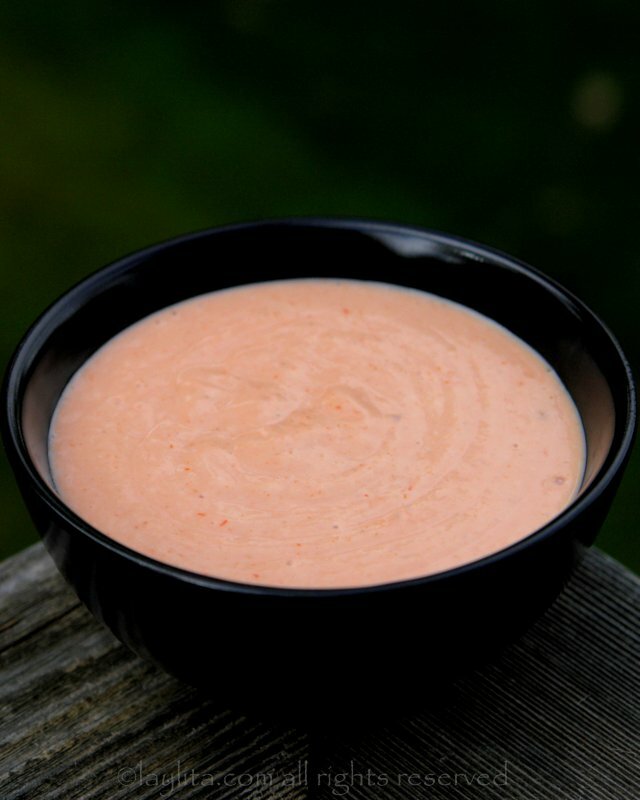 Salsa rosada, also known as salsa coctel, is a popular Latin American sauce made with mix of mayonnaise and ketchup. This sauce is also known as Argentinean golf sauce, it is a simple mix of mayonnaise and ketchup (and other condiments if you like). 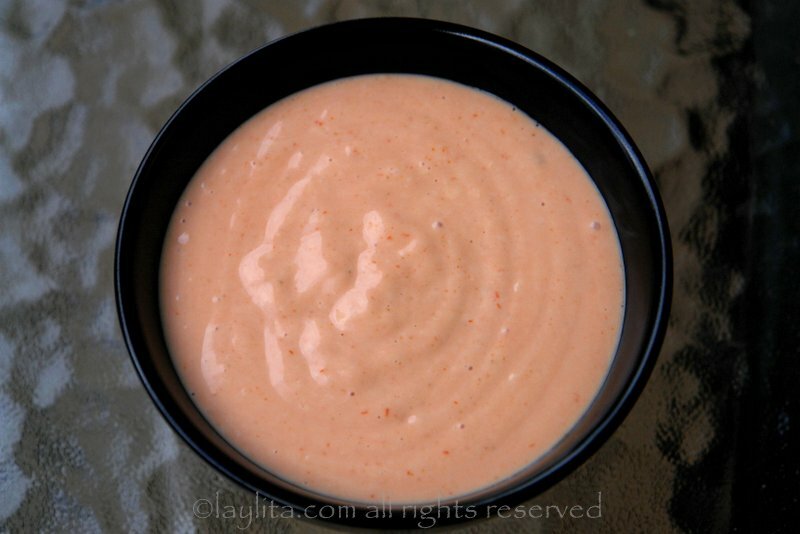 In this recipe for salsa rosada, I use homemade mayonnaise which is made with onion and cumin, so if you’re making this sauce with store bought mayonnaise I recommend adding a little bit of ground cumin. I’ve had it before with a little bit of hot sauce added, and if you like it spicy that’s a good addition. You can also add a dash of vodka. 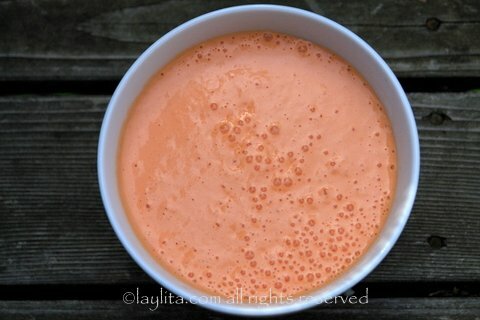 Salsa rosada is used as a salad dressing, especially for cold seafood salads or shrimp cocktail. It can also be used as a dip for French fries, chips, and as a spreading sauce for sandwiches. Combine the ingredients in a small bowl and mix well. For over 50 years my family have used this recipe adding some vinegar as spaghetti sauce for spaghetti and meatballs…. awesome. This is just the best salsa ever, how can such a simple mix generate such a wonderful flavor? Ive having this kind of Salsa most of my life and I never have enough! perfect with Tacos, Burritos, Empanadas and many more! Wish I could find the pan dulce recipe from many of the Cali bakeries … I have hunted for the recipe for years but to no avail. It is not the same as the pan dulce from Mexico. Any ideas??? Wonderful-my husband loves this sauce, but I’ve never thought about making it before-thanks for the recipe! !